Ms. Gordon is a highly experienced executive leader with expertise in health policy and communications, organizational development and stakeholder engagement in the public and private healthcare sectors. She most recently was General Manager of the Health, Federal Government Services, Employee Engagement and Multicultural Engagement sectors for the Washington office of Edelman, an independent communications agency with more than 65 offices worldwide. Ms. Gordon received her BA in journalism from Kent State University, and she has worked with a host of healthcare professional societies, biopharmaceutical companies and advocacy and community groups, including in pediatrics. 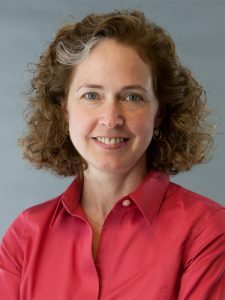 She has worked extensively with these groups as well as scientific opinion leaders to build awareness of disorders and fight not only for their proper treatment, but also for more research that could lead to new treatments. She has been responsible for launching strong relationships among biopharmaceutical companies and leading advocacy and professional groups, in large part by helping to design programs that link their interests. Ms. Gordon’s experience includes partnering with organizations such as the American Nurses Association, the American Medical Association, the American Academy of Addiction Psychiatrists, the American Academy of Pediatrics and the Agency for Healthcare Research and Quality. She serves on the Board of the National Forum for Heart Disease and Stroke Prevention and is a former Board member of the American Pharmacists Association Foundation.